Kathleen Lynch said the Government would have to listen to the findings of the expert group tasked with how to accommodate the X case ruling. 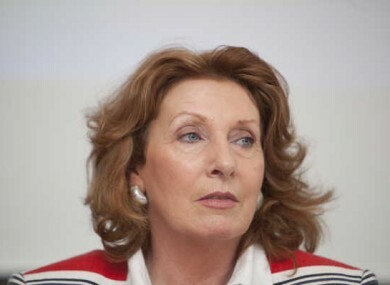 THE MINISTER OF State at the Department for Health Kathleen Lynch has said she believes the Government will have no choice but to legislate for abortion in certain circumstances. Speaking on RTÉ’s This Week programme, Lynch said that the Government would have to listen to the findings of the expert group tasked with considering how to accommodate the X Case ruling. “The expert group will be reporting and I don’t think there’s any point in putting expert groups in place if you’re not then going to listen to their recommendations,” she said. Ireland’s government has come under fire for allegedly failing to properly address a ruling by the European Court of Human Rights on the issue of abortion access in the state. Email “Minister of State believes Government will have to allow for abortion in certain circumstances ”. Feedback on “Minister of State believes Government will have to allow for abortion in certain circumstances ”.